Hollywood actor of German and Ghanaian descent, Boris Kodjoe has joined several blacks all over the world who have spoken against USA president, Trump’s racist comment. The president criticised immigration to his country from El Salvador, Haiti, and the African continent, by calling the group “shithole countries”, according to the US media. Leaked information from the White House shows that the US president made the “shithole” comment during a secret meeting. Trump, after this statement went viral, has received backlash from international organisations including the UN and the African Union, politicians and people from African countries and Caribbeans. 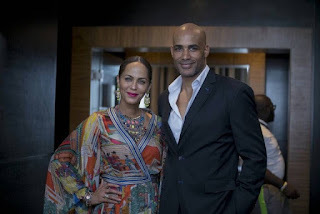 Boris Kodjoe who was recently in Ghana to host the 2017 CAF Awards at the Accra International Conference Center in an Instagram post spoke highly of his late father, Dr. Eric Ofuatey-Kodjoe who hails from Ghana but saved many lives in the United States of America before he passed on. “I am half German and half Ghanaian, ain’t no ‘shithole’ anywhere near that combination! 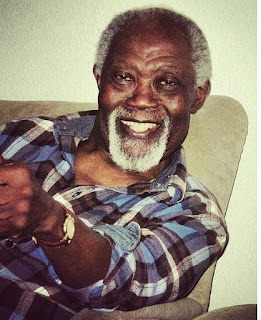 This is a photograph of the late Dr. Eric Ofuatey-Kodjoe. He was my father. He also was an immigrant who left his country to become a physician and greatly contributed to his new home country through medical services and economically alike. He endured endless racially motivated abuse even as the head of anesthesiology at his hospital. Other doctors questioned his abilities, patients refused to be examined by him. But he kept going, kept helping people, kept saving the lives of those who wanted him to go back to his country. I know it’s hard for you to understand, @realdonaldtrump, but most immigrants are looking for basic human rights for their families, a purpose in life, and a way to contribute to society.